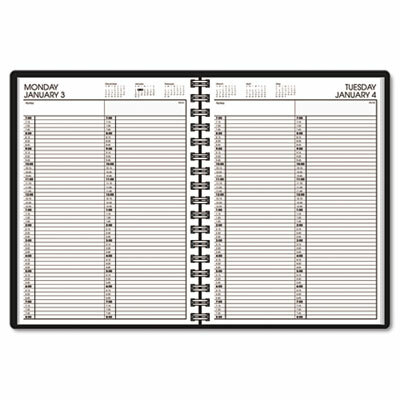 Crisp easy-to-read format for scheduling appointments for two people each day. Schedule appointments Monday through Saturday. Perforated page corners quickly get you to current day. Crisp easy-to-read format for scheduling appointments for two people each day. Schedule appointments Monday through Saturday. Perforated page corners quickly get you to current day. Appointment Ruling 7 AM to 8 PM Mon.-Fri.